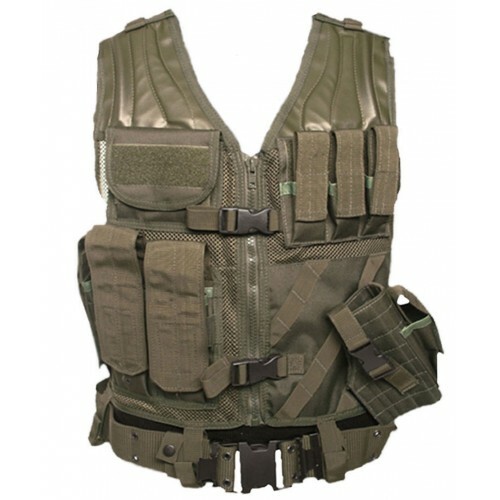 Tactical vest with integrated pistol belt. Zippered front with additonal Fastex type buckles. Universal size with adjustable sides and shoulder straps.